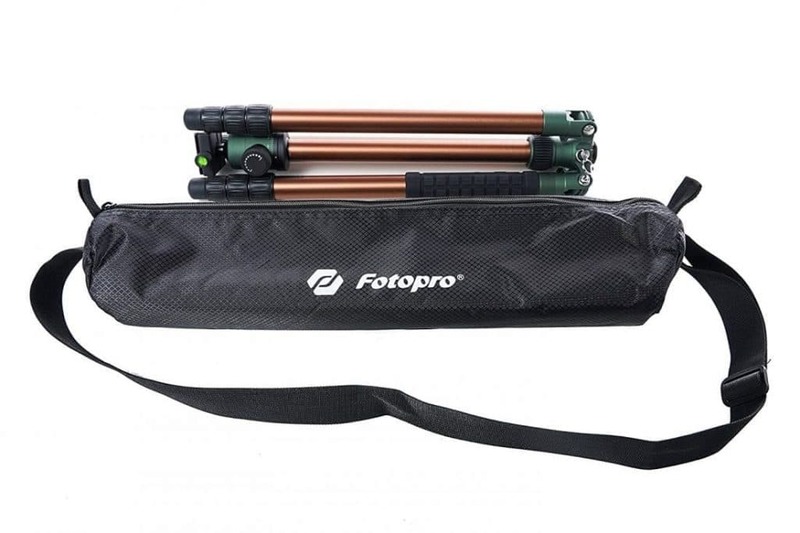 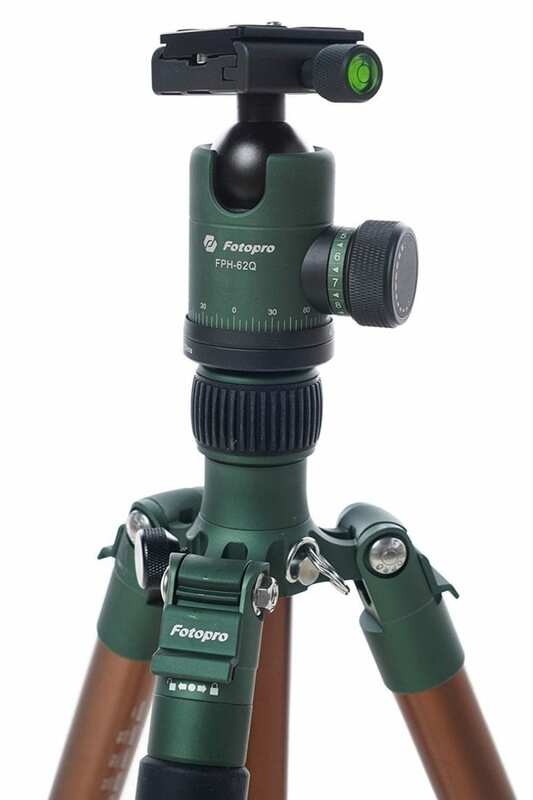 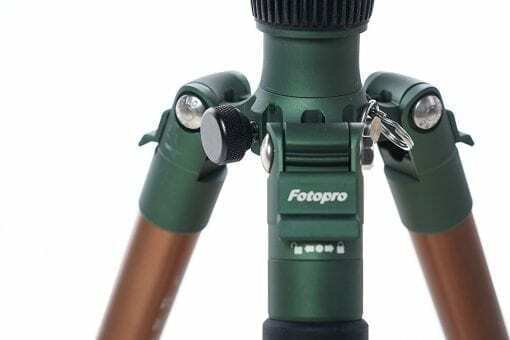 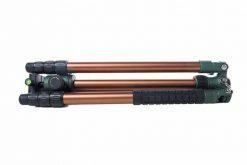 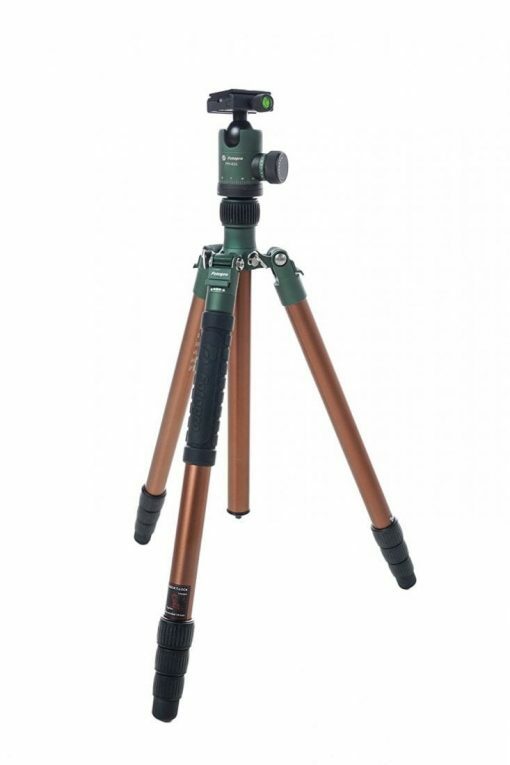 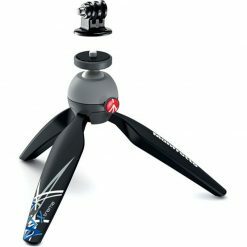 The X-Go Predator from FotoPro is a unique camouflage tripod, which makes it a necessity for all wildlife, outdoor and adventure photography. It’s new bronze anodized legs and center column, with its matte olive green or black locks and spyder blend into most any outdoor terrain thereby rendering it almost invisible to see. 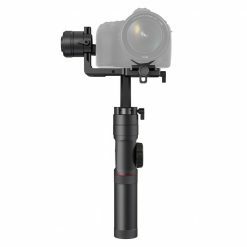 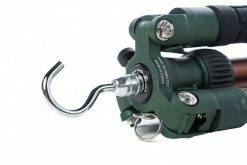 It comes complete with an FPH-62Q aluminum dual action ball head. 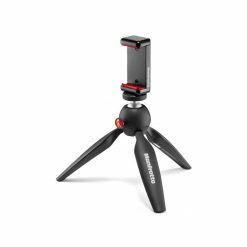 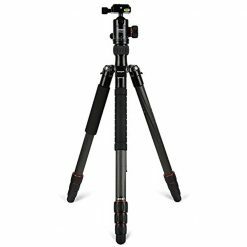 This 4-section aluminum tripod is extremely sturdy and durable and can hold up to 26.5lbs while only weighing 4.3lbs. 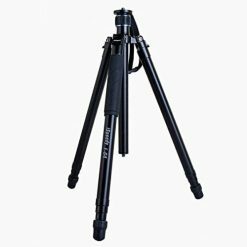 The maximum height is almost 68″ but it can still fold down compactly to around 18″. 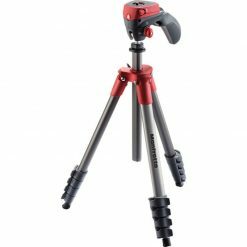 The 62Q dual action ball head features 2 bubble levels for accuracy and ergonomic locking knobs while also sporting a panoramic scale. 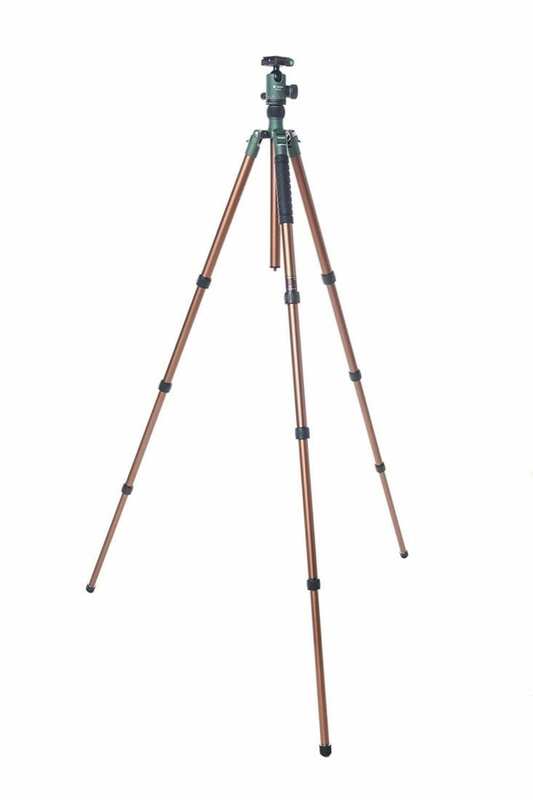 It comes complete with a standard 1/2 20 QR camera plate. Hidden spiked feet and a unique center column weight hook attachment allow for secure footing and handling on any terrain and in any weather conditions. 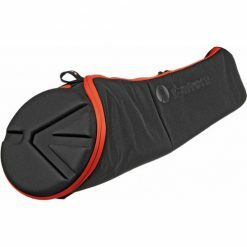 The silicon rubber leg handle provides protection for your hands in extremely frigid or hot conditions. 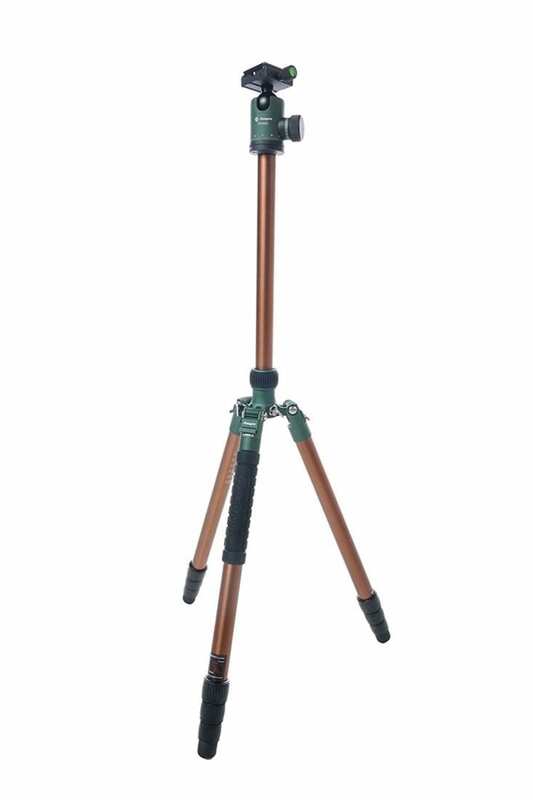 This leg also unfastens to transform your tripod into a full size monopod. 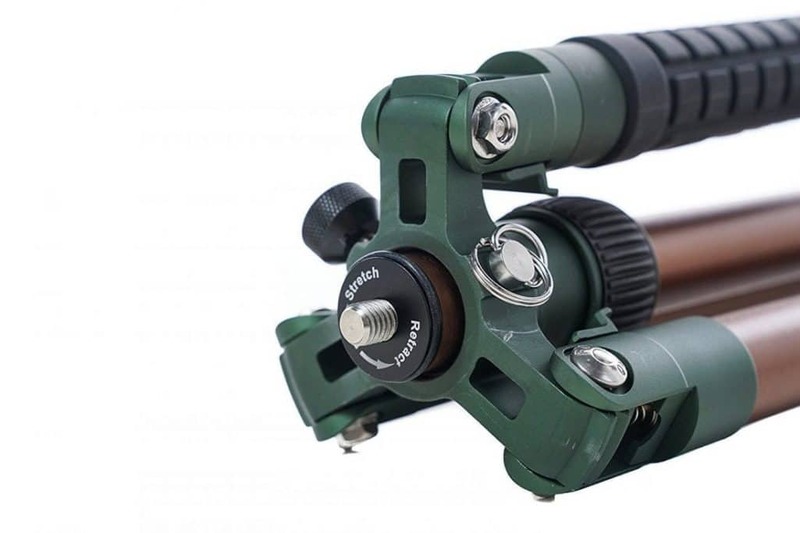 The legs also fold back 180 degrees onto the center column for a very compact carry mode. It is easy to clean the legs of any salt water, sand or dust, which will extend the life of the tripod. 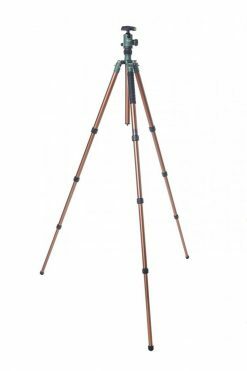 This tripod is the perfect match for using binoculars as well as handling spotting scopes and heavy duty sporting accessories.